Among Ridgefield’s fairly sizable collection of historians is one who is often forgotten, despite the fact that she owned and lived in two of the town’s most famous historic houses, and wrote a book of Ridgefield history. However, Glenna Welsh would probably not be surprised at that — she was never one to seek publicity about herself. Even when she died, there was no obituary. Welsh spent a decade digging into town hall records, old genealogies, and historical papers of every sort to produce “The Proprietors,” a 200-page book about the founders of Ridgefield and their descendants. The book traces the origins and destinations of the 25 people who purchased land from the Indians, founded the settlement, and then saw to it that Ridgefield survived, and even prospered. Welsh literally lived in history. 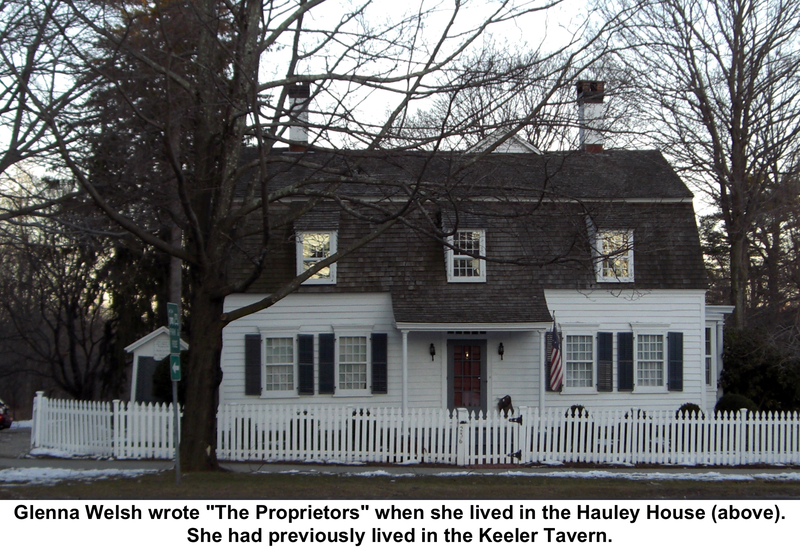 She and her husband, Vernon, owned the town’s two most significant 18th Century houses: The Keeler Tavern and the Hauley House. Ridgefield’s first minister around 1713, at the corner of Main Street and Branchville Road. They sold the Cannonball House to the Keeler Tavern Preservation Society. Her first research was sparked by her first house. “I started out doing research more or less for the fun of it and to find out the correct date for Cannonball,” she said. Until her study, the Keeler Tavern had been variously estimated to have been built in 1733 or 1748, but Welsh determined that the building was even older than suspected, revealing in her book that it was built by Benjamin Hoyt around 1717 as his home. Glenna M. Welsh was born in 1913 in New Hampshire, and had lived in New York City before moving to Pound Ridge and then Ridgefield. Her husband was an executive with General Dynamics and after Glenna died in 1978, he moved to another antique house in Old Lyme, where he became active in the Historic District Commission and the local library. 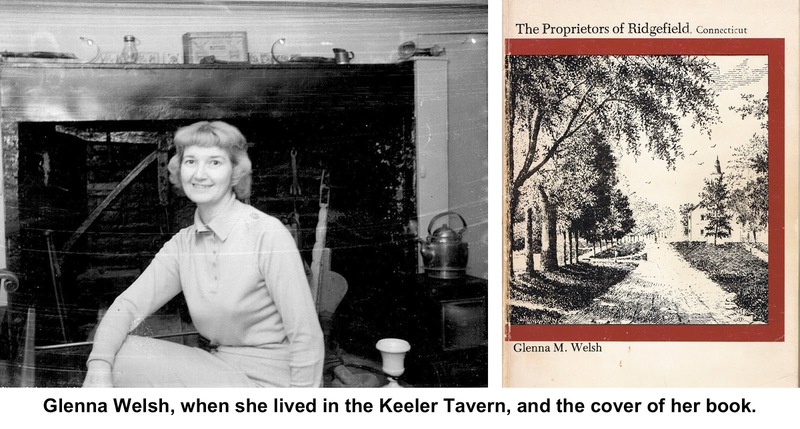 Glenna Welsh’s “Proprietors of Ridgefield,” which a Press reviewer called “at once a scholarly and a very readable and entertaining narrative,” is still available for sale at the Ridgefield Historical Society.